Spotting Government-sponsored Terrorism. Tip 1. Legitimate terrorists groups fight for a specific goal, and don’t pledge themselves to other terrorist groups, let alone those which aren’t even on the same continent. Terror groups do receive recruits from all over the world who will travel to the area in which the group is fighting in order to take part. However, it is ridiculous to think that the FARC in Colombia will pledge itself to the IRA in Ireland, and will start blowing up cafes in Colombia in order to further the cause of Irish Independence. We are told that ISIS fights to create a caliphate in IRAQ and SYRIA. Groups committing violence in Libya, Somalia, Yemen, Afghanistan and Niger do nothing to further this cause. Franchising is a Western idea, and applies to business not to warfare. The only reason for other terror groups, completely unrelated and geographically separated from the ISIS cause to pledge fealty to ISIS is that they were told to do so. By whom? By their controllers, the people who financially support them. Who might they be? Intelligence agencies of one or more nations that benefit from the existence of the “ISIS threat”. Greek deposits flow out of Greek banks, lowest in 10 years. Homelessness soars in UK. GDP final at 2.2%, the boost to GDP was Obamacare. NY Post reports that the stock market is rigged. US concerned about China's banking system security, the can't get through the encryption. Russian's payment system will produce cards in December. Turkey continually takes freedoms away from their people. Kiev now receiving Bradley tanks from the US. Kiev bringing heavy artillery up to the contact line. New declassified report shows Israel has nuclear weapons. Airstrikes from Saudi Arabia/US continue against the Yemen people. Assad says US-coalition forces really not going after the terrorism in Syria. 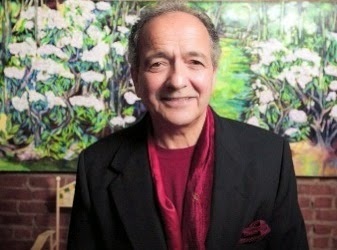 About Gerald Celente : Founder of The Trends Research Institute in 1980, Gerald Celente is a pioneer trend strategist. He is author of the national bestseller Trends 2000: How to Prepare for and Profit from the Changes of the 21st Century and Trend Tracking: The System to Profit from Today's Trends (Warner Books). Gerald Celente's on-time trend forecasts, vibrant style, articulate delivery and vivid public presence makes him a favorite of major media. Military exercises -- Date: 03/27/2015 -- -Today - On the Friday, March 27 transmission of the Alex Jones Show, we look at Senator Harry Reid's legacy and the missteps that may have spurred his decision to retire. We'll continue covering the controversial Jade Helm military exercise with Infowars editor Paul Joseph Watson, and break down how the kamikaze co-pilot responsible for the Germanwings crash in France may have been taking SSRIs. On today's worldwide broadcast we'll also probe the partnership between the NSA and Facebook, review new criticisms of industrial chemical producer Monsanto and take your calls. - Fed's next move - EASING! Durable goods orders/API data/global trade data/Japan-China PMIs, and interest rates plunging anew. And strong dollar killing U.S. industry. Why People CAN'T Fight Back Against the Bankers and New World Order's Global Control! The New World Order has complete control over the world, toppling nations governments, destroying sovereignty, murdering, stealing, and every other negative possibility. Economically, the power structure has been able to maintain full control as we see the regulations benefiting the bankers as they prepare to perform bail-in, a levy, a "one off" tax, and countless other schemes of devaluation of our savings. The general public is unfortunately, too busy, too preoccupied with the Rockefeller, Carnegie and other globalists program of an overloaded busy lifestyle, countless distractions such as TV, paying the bills, etc. The general public CAN'T fight back against this system of control. “Right now we are at the cusp," billionaire George Soros tells Bloomberg TV in this brief clip, the chances of Greece leaving the euro area are now 50-50 and the country could go "down the drain." The 84-year-old fears that talks between Greece and 'the institutions' could "break down," adding that "Greece is a long-festering problem that was mishandled from the beginning by all parties," concluding that the chances of Greece leaving the euro area are now 50-50 and the country could go "down the drain." Finally, Soros notes, what worries him the most is Ukraine. The chances of Greece leaving the euro area are now 50-50 and the country could go “down the drain,” billionaire investor George Soros said. Greek Prime Minister Alexis Tsipras’s government needs to persuade its creditors to sign off on a package of economic measures to free up long-withheld aid payments that will keep the country afloat. Since his January election victory, he has tried to shape an alternative to the austerity program set out in the nation’s bailout agreement, spurring concern that Greece may be forced out of the euro. The negotiations between Tsipras’s Syriza government and the institutions helping finance the Greek economy -- the European Commission, European Central Bank and International Monetary Fund -- could result in a “breakdown,” leading to the country leaving the common currency area, Soros said in the interview at his London home. ...the war in eastern Ukraine between government forces and rebel militia supported by Russia’s President Vladimir Putin concerns him the most. With a week to go before Independence Day, as Greek interior minister Voutsis ruled during today’s Parliamentary bunfight, the new Poverty Relief Bill “doesn’t violate the agreement” signed with the Eurogroupe, and so it will pass into Law. “Well, I set up a foundation in Ukraine before Ukraine became independent of Russia. And the foundation has been functioning ever since and played an important part in events now,” Soros responded. GERMANWINGS PLANE CRASH - Co-Pilot Wanted to Destroy Plane. Elite To Take Advantage of Crash? Was the Germanwings plane crash an act of terror? Some are accusing the media of “racism” for not making that assumption because the man who deliberately crashed the aircraft, Andreas Lubitz, was not a Muslim. Lufthansa has said it relies on in-depth interviews and extensive aptitude and psychological testing to clear candidates before they can even begin the carrier’s two-year training program. Multiple screening steps, company officials have said, were a major reason for low attrition rates during training and relatively few resignations. Black box voice recorder reveals chilling final moments of Airbus A320 Passengers are heard screaming just moments before the plane crashes Black box recorded co-pilot breathing calmly as he smashed jet into Alps Prosecutor: 'The intention was to destroy the plane. Death was instant' Co-pilot was named today as 28-year-old German Andreas Günter Lubitiz International airlines scrambled to introduce rules insisting two crew members are always in a plane cockpit after investigators said a German pilot deliberately plunged an Airbus A320 into a mountain, killing all 150 people on board. The Airbus A320 making the flight for Lufthansa’s lowcost arm, Germanwings, crashed near the small mountain village of Barcelonette in the southern Alps with at least 144 passengers and six crew members on board. Spain’s deputy prime minister said 45 passengers were believed to be Spanish nationals. A spokesman for France’s interior ministry said the passenger manifest was being verified. Flight 4U9525 disappeared off the radar at around 11.20am, Le Figaro reported. The plane dropped from 11,500 metres to 2,100 metres (38,000ft to 7,000ft) in nine minutes between 10.31am and 10.40am, air radar services said. Initial reports said a distress call was made by the pilots at 10.47am but French authorities later said this was not the case. The plane crashed at 2,700 metres altitude in the Alps, in the commune of Méolans-Revel, an isolated area of small villages and hamlets that are difficult to reach. Debris is scattered over an area of 2 sq km, according to French search and rescue. Flight 4U 9525 vanished from radar screens at about 10.47 am local time, 46 minutes after take-off from Barcelona. French officials said that debris had been found on the 2,961 metre-high Estrop massif near the small town of Barcelonette in the Alpes-de-Hautes-Provence. French aviation officials denied earlier reports that the stricken aircraft had sent out a “mayday” signal. They said that it was French air traffic control which issued the distress signal when the plane disappeared from radar screens.